is the first smartphone which Asus has launched has launched with the Flipkart and the company has long this smartphone with the entire price of 10,999 rupees. At the same time this exclusive phone will be operated on Flipkart on May 3, 2018. Asus has introduced this is smartphone inside the new zenfone MAX serious. This phone is a based on a better design, camera and stock Android . Dual camera setting has been given in battery centric smartphones the biggest futures of the smartphone launched today is that it will give users the experience of stock Android the company has claimed that this is smartphone phone will get to Android OS updates, which means that users will get an update on Android and Android Q. let's take a look at Zenfone Max pro M1's on Top features that make this phone is special. Zenfone Max Pro M1 have a have a 5.9 9inch full HD display. Its comes with a metal unibody design and large display the company claims that this device gives an edge to EDGE display. 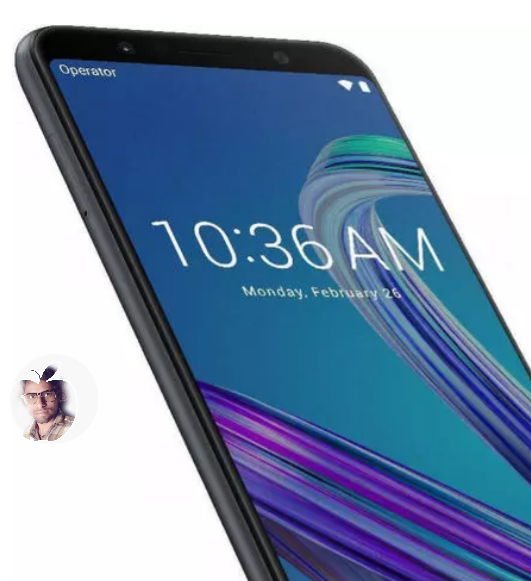 Zenfone Maxpro M1 Qualcomm Snapdragon 636 with soC 3 GB /4 GB/ 6 GB ram and 32GB /64GB internal storage. It's storage can be increased to 2 TB with the help of micro SD card here it is a necessary to tell that 3 slot have been provided with a dual sim support. gives 25.3 hours of video playback video playback playback of video playback time as well as having a such a large battery in addition you can charge it so battery battery so battery for 30 minutes faster than shaomi redmi note 5 Pro Pro. Dual camera setup is a present in the back of zenfone Max Pro M1. It has a 13 megapixels primary sensor and a 5 megapixel depth sensor that comes with a portable mode. PDF and autofocus support right now the phone have 8 megapixel sensor led flash for video calling and selfie. This is smartphone come with Android Oreo out of the box this is the first smartphone launched by company that work on a stock Android the company has claimed that this is smart phone will get to Android OS updates. The smart phone also has a fingerprint sensor as well as the face unlock futures with this features the phone gets extra security has unlock future can be used using the phone front camera. In this, 5 magnet speakers are high quality NXP smart amplifier are provided for excellent audio output as well as for the best Audi experience , Asus will present the Max box accessories in the box with the phone.